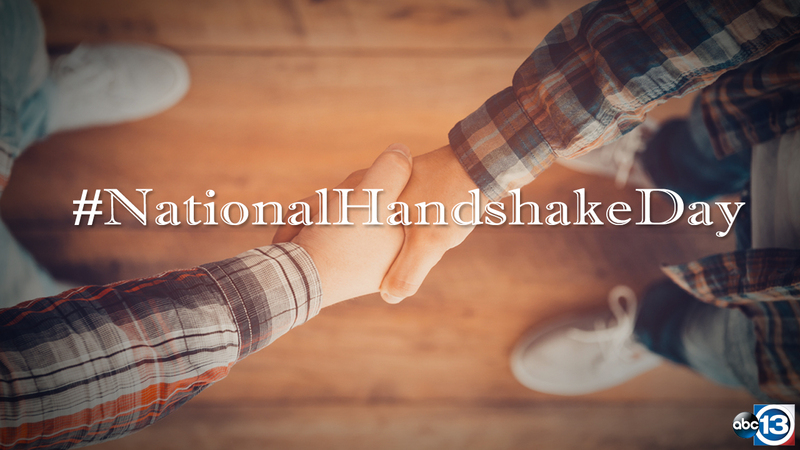 National Handshaking Day: When did the world start shaking hands? The handshake is a custom in some cultures, used to greet neighbors or to seal a deal at the bargaining table. But have you ever wondered where it came from? One of the earliest depictions of the gesture dates back to the 5th century BC with the image of two soldiers shaking hands on a funerary stele, which is now on display in the Pergamon Museum in Berlin. Historians at Cornell University theorize the handshake may have originated as an act of peace, demonstrating the hand without a weapon. Of course, these days, the handshake can take a number of different forms. In the video above, two friends demonstrate one of the most unique handshakes mankind may ever see. The viral video lasts a minute and demonstrates the great and creative lengths to which a handshake can go in social situations. In business situations, a nice firm handshake demonstrates strength over the alternative offered from a looser grip. Meantime, Eyewitness News anchor Samica Knight couldn't wait to show off the handshake she learned from Houston Astros infielder Jose Altuve recently. The health-conscious often attribute hand shaking to the spread of bacteria, leading some scientists to theorize the health benefits of a fist bump instead.